So, what is CB Radio? CB radio or Citizens Band radio is a two-way communication that operates using 40 channels on a designated band at 27 mhz which is sometimes referred to as the 11 meter band (this refers to the wavelength). The great thing about CB is that you don’t need a license to operate one. Not only are CB radios fun to use but offer some reassurance that you’ll still be able to communicate with people in an emergency when other forms of communication fail. Campers and survivalists find them invaluable. 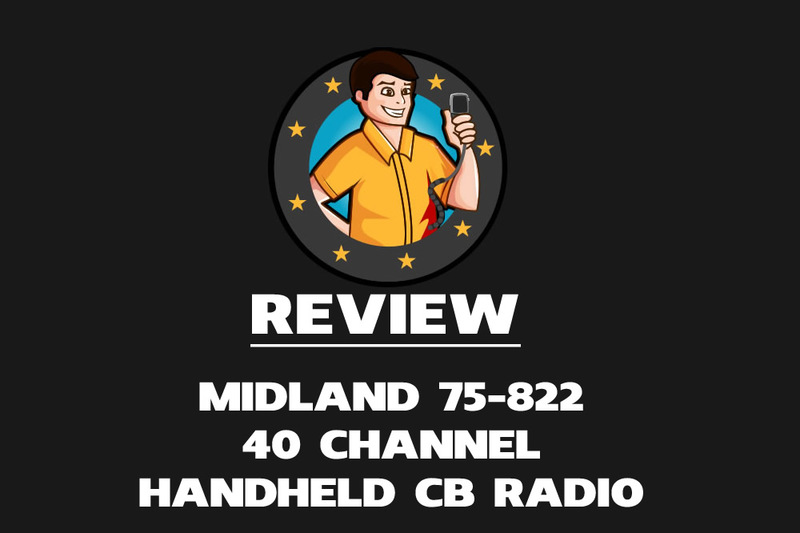 If you have no cell phone coverage and are in the middle of nowhere then a CB is a perfect choice. Typically you will achieve a range of anywhere between 2-15 miles with a mobile setup and up to 50 miles with a good base station antenna. Let’s get an important bit of information straight from the start. As a general rule any legal CB you buy is going to have the same potential range. 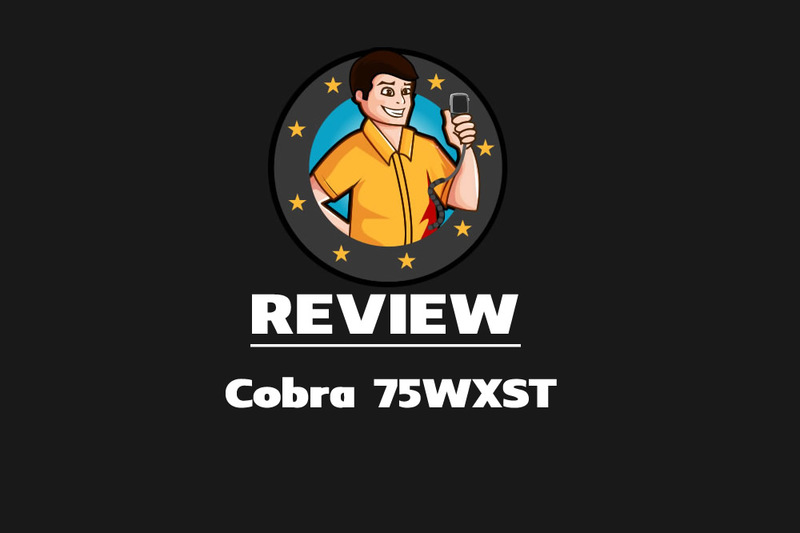 CB radios are limited by law to a maximum of 4 watts power output (or 12 watts on SSB for radios equipped with that mode) and is regulated by the FCC. So all radios out of the box are going to have (roughly) the same output. Range is much more about the antenna you use and where you are located than the radio you are using. If there are lots of tall buildings around then your range will be far less than if you are out in a big open space. A more expensive radio might have a better receiving stage and allow you to “hear” a little better but the distance it transmits will be about the same as any other radio with the same setup / environment. During good atmospheric conditions where the signal can bounce off (skip) of the ionosphere, it is possible to achieve contacts hundreds or thousands of miles away. Choosing a great CB (also known as a rig) needn’t be a difficult task. It a proven technology with years and years of history. It’s fundamentally a very old technology with the exception that some modern radios have some newer features like bluetooth enabling you to connect to your cell phone. The bare minimum controls you are likely to find on a radio would be a volume control, channel selector and squelch control (to suppress the white noise / hissing that is present when there is a lack of strong signal). RF Gain – Allows you to decrease the sensitivity of the radio. By turning this control down you can make weaker signals disappear leaving just the stronger stations. Conversely by turning it up up can bring in some of the fainter signals. Delta Tune – This fine tunes the frequency you are listening on – handy if the person you are trying to listen to is slightly off frequency. You are unlikely to need this unless using sideband as modern radios are very stable now. Mic Gain – This controls the gain of the microphone allowing you to turn it down if you have a loud voice or up if you are more quietly spoken. Built-in SWR Meter – Although not as accurate as a standalone meter it’s still very handy to have one built in. NB / ANL Switch – Some radios have Automatic Noise Limited or Noise Blanker circuitry to reduce unwanted noise. ANL helps reduce any noise that might be present because of your vehicle electronics. Mode Selector – For those radios that include SSB (single sideband) you can select whether you want to use AM, USB (Upper Sideband) or LSB (Lower Sideband). NOAA Weather Alert – Allows you to monitor the NOAA network of radio stations that broadcast important weather information. PA – Many radios offer connection to a PA horn so you can use the radio as a public address system. Note: If you are restricted for space there are some great small radios available now. Conversely some radios that are packed with features will need quite a bit more space in which to mount them. Not so much an issue if you are using them as a base station but may be an issue in a car or the cab of a truck. ​​Note: There’s a lot more information below but clicking the above links will take you to current prices, further information and customer reviews on Amazon. Let’s start with this small and compact radio. Uniden are a big name in CB and this is their budget offering. Despite its small size at just 5 inches wide, under 2 inches tall and 7 inches long, it has a very easy to read orange LCD display. Audio isn’t too bad considering the unit’s size and it does have an external speaker jack so if you have placed it in a tight spot that might block the internal speaker. All-in-all this is a great radio for those that are just entering the hobby and don’t want to spend much money. Some will find it ideal to have on standby for emergency use only. This is a classic design that has been around for MANY years and by that I mean DECADES – with good reason. It’s a great sounding radio that has proved reliable. What’s more they have tweaked and improved it over that time. It’s a fully featured AM radio that oozes quality build and retro looks. From turning it on to using the switches and knobs, you’ll know you have a nice CB. The good news in regards to SWR and your antenna setup is the rig has a built-in warning light to let you know if there is a problem. Things can and do happen to antennas so this is a very welcome feature. Reception on the 29LTD is great as too are the radio reports you get back on your own audio. It’s a very nice sounding radio it’s just a shame it doesn’t have SSB as it really would be complete with its inclusion. If you want a tried and tested radio with plenty of features then this is a serious contender. One thing that will strike you about this radio is its modern looks. It certainly doesn’t look out of place in a modern vehicle plus it is a fairly compact model. Often one of the first things I do with a new CB is to replace the microphone and use power mic. However, I have to say that as well as looking really cool the Bearcat noise cancelling mic is a pretty good performer that gets some great audio reports. It won’t beat a good power mic but it is better than many stock ones. Reception is great and the NB filtering works well as does the ANL feature. The receiver is quite hot and quite capable at pulling in those distant signals. The side-effect of this is that it can bring is a bit more of the unwanted stuff too. However, this is one of the trade-offs of many radios. Another nice feature is that you can adjust the display to suit your own taste with a choice of 7 colors. This means you can also match it to the other equipment in your vehicle if you wish. This is another model with built in SWR. A welcome feature but as I always suggest, invest in a good standalone unit for total accuracy. Overall it is a great radio but one thing that drove me nuts was the beeping on every button push. I just couldn’t find a way to disable it. Controls: Volume, Squelch, Mic Gain, RF Gain, Dimmer, RF Power, Talkback, Clarifier. Switches for SWR, ANL/NB, GNF, AM/LSB/USB selection and Tone. The first thing that strikes you about the DX-959, other than the amount of switches and buttons, is the rather large meter on the left hand side. As well as displaying the incoming signal strength it features power output, swr readings and modulation (enabling you to check your vocals are coming across as loud as possible without distorting). As well as standard AM this radio is also equipped with sideband (SSB). A handy feature for those that like to do a bit of DX (distance) work. When the radio is cold SSB can drift a little but it doesn’t seem to be much of an issue once it has warmed up. There is a useful GNF switch which is Galaxy’s name for their noise filter which only works on sideband but it is quite effective. Something else that stands out is the use of a 5-digit frequency counter in addition to the channel display. It’s really only of use on sideband and it would be more useful if it had a 6th digit but it’s still quite cool to have. Sure, it’s a little more pricey than some of the other radios listed here but it really is a fantastic rig. The only downside, and I’m not the only one that thinks this, is the knobs could do with being slightly better quality. It’s not a big deal but a valid point nethertheless. Take a look at the full Galaxy DX-959 Review here. The first thing to note is that all of these radios I have selected would serve you well. If you want a radio that does everything and does it well then the Galaxy DX-959 is a fine piece of equipment and is unlikely to disappoint. For those of you that want something relatively cheap to get you started or for occasional use then the Uniden PRO505XL will certainly do you just fine.